4. 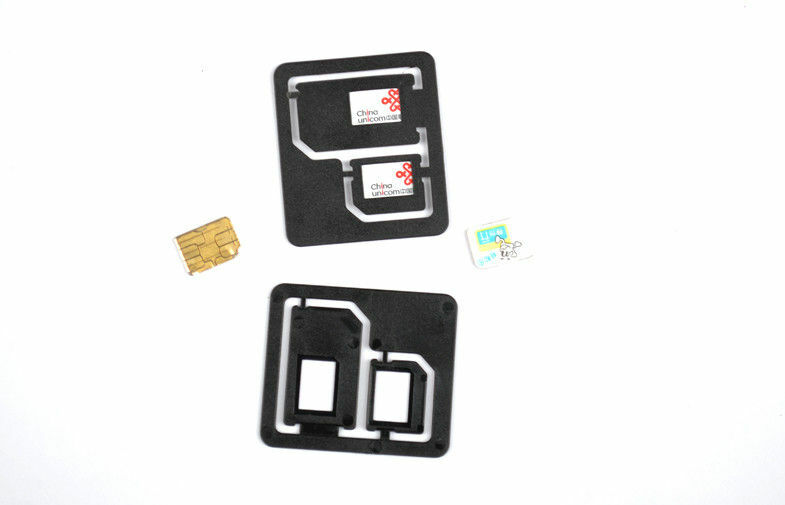 Usage : make your nano sim card for iPhone 5 into normal sim card or micro sim card in one panel, 1 pcs with 2 functions. This kind of product can make your nano sim card from iPhone 5 and other types of mobile phone with nano sim card inside into regular mobile phone sim card or micro sim card for iPhone 4, 4S, it can be used for many times for a few years, if the nano sim card is put into our this sim card adaptor, then the nano sim card never fall off from this nano sim adaptor, and the nano sim card adapter can be easily taken out from your smartpphone inside, it can not destroy your mobile, if bad quailty or not good design, your mobile will be problem, then you will have to buy another new mobile phone, so it is better to use our designed micro sim card adapter.